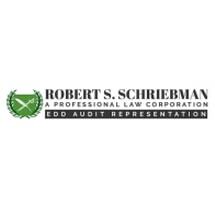 Robert S. Schriebman has been a practicing tax attorney since 1969. He is a member of the Bar of the State of California, the United States Tax Court, the United States Claims Court and the Supreme Court of the United States. He has been certified as a specialist in taxation law by the California Board of Legal Specialization and was an adjunct Professor of IRS and California Tax Practice and Procedure at USC's Graduate School of Accounting. Robert Schriebman has written 20 books and numerous articles on tax law and methods of obtaining relief from federal and state tax debts. Dr. Schriebman received his JD in 1967, his LLM in taxation in 1968 and his SJD in taxation in 2004.